UPDATE: On 11 December 2018, the 100th birthday of the Soviet Union’s and Soviet dictator Joseph Stalin’s perhaps most important opponent, Alesksandr Solzhenitsyn, Russian President Vladimir Putin attended and keynoted the opening of a monument in Moscow to Solzhenitsyn. In his speech, Putin called Solzhenitsyn “a true patriot” and noted “the totalitarian system, which brought suffering and grave trials to millions of people” (www.vesti.ru/doc.html?id=3095467). This follows up neatly my articles on the subject. For an example see the below, published on my site on 30 October 2018. On Russia’s “Day of Remembrance for the Victims of Repression” it is instructive to return to the Western media’s deceitful claim that a rehabilitation of Stalin has occurred during the soft authoritarian, albeit, rule of Vladimir Putin. Every year, on 30 October 2017, Russia remembers the victims of Stalin’s repressions in a national day of commemoration. This day has been commemorated every year, including every since Putin first rose to power in 2000, since the year the remembrance day was established in 1991. But the Putin-era assault on Stalin and his repressions has been far deeper than this. Putin’s Russia has seen a pluralist state policy regarding Stalin and his legacy, and within that pluralistic universe it has itself facilitated and issued articulations highly critical of Stalin and his repressive policies. Aleksandr Solzhenitsyn’s literary monument protesting the Gulag, The Gulah Archipelago, has been in the state school curriculum for years under Putin. Moreover, as Western scholars were blithering about Putin’s love for, and rehabilitation of Stalin” in the 2000s, Putin-era state television produced a series of films commemorating Russian figures destroyed during the Stalin era. Some of the state or state-tied television channels’ productions on the Soviet regime’s atrocities, include Yesenin (a film about the Russian poet Sergei Yesenin who committed suicide under mysterious circumstances and pressure from the communist regime), Moskovskaya saga (the story of a Moscow family’s destruction under Stalinism), Boris Pasternak’s Nobel Prize-winning novel Doctor Zhivago, the great Soviet dissident Alexander Solzhenitsyn’s The First Circle, and Mikhail Bulgakov’s anti-Stalinist satire Master and Margarita, among many others. 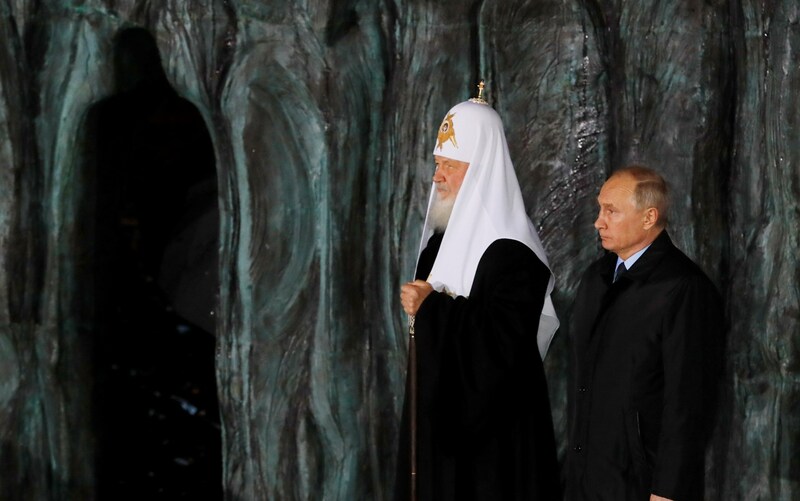 At the same time, the Russian Orthodox Church has been carrying out a permanent campaign against Stalin since the Soviet collapse–under both Presidents Boris Yeltsin and Putin (see, for example, https://gordonhahn.com/2017/08/28/putin-stalin-orthodoxy-and-russian-traditionalism/). Moreover, the Putin and Medvedev administrations have undertaken their own direct de-Stalinization campaign, while avoiding the extremes of historical revisionism and political whitewashing. In 2009, ‘Putin’s puppet’ (you cannot have it both ways), then-President Dmitrii Medvedev decried attempts to justify the Great Terror, noting: “I am convinced that no sort of development of the country, not any successes or ambitions can be attained at the price of human loss and grief. Nothing can be put before the higher value of human life. And there are no justifications for repressions. We pay much attention to the fight against the falsification of our history. And for some reason we often think that that is only about the impermissibility of revision of the results of the Great Patriotic War. But it is no less important not to allow under the view of the restoration of historical justice justifications of those who destroyed their own people” (www.rbc.ru/society/30/10/2009/5703d73c9a7947733180c25b). As Russia’s president, Medvedev also made a trip to the Russian Far East to commemorate a memorial in Magadan to the victims of Stalin’s Gulag– one of many such monuments built or being planned across Russia. With Putin’s return to the presidency in 2012, the Kremlin’s opposition to Stalinist repression was sustained. Putin backed a state-funded initiative to build a major monument and museum in Moscow to commemorate the victims of communism. As the Kremlin was preparing a monument to the victims of Stalin’s repressions, the New York Times warned of Putin’s rehabilitation of Stalin not for the first time. The article cited numerous incidental evidences of alleged state-sponsored rehabilitation and then concluded: “Victor Erofeyev, a novelist whose father was a translator for Stalin, has said that ‘when Stalin dies in the soul of the last Russian, then you can say our country has a future.’ Unfortunately, Mr. Putin is happy to keep him alive.” A Gulag monument and museum project were mentioned in passing and then dismissed quite amateurishly as “just politics” (www.nytimes.com/2016/03/13/opinion/sunday/stalinist-nostalgia-in-vladimir-putins-russia.html). This article was just one in a long-line of similar media and academic falsifications of the historical record on Putin’s policy towards Stalinism. For example, Sarah Mendelson and Theodore Gerber, who virtually made their careers on ‘exposing’ the ‘rehabilitation of Stalin’ in Russia through opinion surveys, in a 2003 article based on an opinion survey, conflated support for Stalin with the view that he was a ‘great’ man in the Time magazine ‘Man of the Year’ sense; i.e., that he was greatly influential on the course of history. Thus, while they emphasized the fact that a “majority” of Russian respondents were found to have regarded Stalin as a “great” man, only a quarter were prepared to vote for him if he were alive today (www.ponarseurasia.org/sites/default/files/policy-memos-pdf/pm_0296.pdf, p. 2). They also conflate support for Stalin with support for authoritarianism, when these academics know quite well that Stalinism was a totalitarian system rather than an authoritarian one (www.ponarseurasia.org/sites/default/files/policy-memos-pdf/pm_0296.pdf, p. 6). Similar biases can be found in 2006 Foreign Affairs and 2007 Council on Foreign Relations articles (see www.foreignaffairs.com/articles/russia-fsu/2006-01-01/failing-stalin-test and www.cfr.org/backgrounder/russias-soviet-past-still-haunts-relations-west). 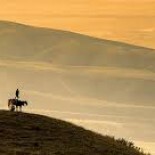 In 2009, the Mendelson and Gerber act was on the road again, now in their new area of ‘expertise’ – the North Caucasus – claiming that jihadism was no threat to the North Caucasus (Theodore Gerber and Sarah Mendelson, “Security Through Sociology: The North Caucasus and the Global Counterinsurgency Paradigm,” Studies in Conflict and Terrorism, Vol. 32, No. 9, 2009, pp. 831-851). The study was designed to produce the needed conclusion. An opinion survey of all things – and one conducted outside Chechnya, at the time the heart of the jihadi ‘Caucasus Emirate’ (CE) group in the North Caucasus — was used to determine the strength of the underground terrorist CE network (for a critique, see https://gordonhahn.com/2015/02/18/caucasus-jihadism-through-western-eyes-the-failure-of-american-rusology-to-understand-the-north-caucasus-mujahedin/). The authors were rewarded with Obama administration positions to help carry out the U.S. ‘reset’ with Moscow. My own work predicted and detailed the growth of jihadi terrorism in the North Caucasus through 2011 [see, for example, Russia’s Islamic Threat (Yale University Press 2007) and The Caucasus Emirate Mujahedin: Global Jihadism in Russia’s North Caucasus and Beyond (McFarland, 2014)]. While it is true that instructions to teachers and textbooks used in state schools issued in 2007 softened criticism of Stalin by referring to him as an “effective manager” and proposed including in the figures of those killed in the Great Terror only those sentenced and executed and not those who died in the Gulag, there also was pluralism allowing for other points of view to be taught. One example is the school composition competition carried out in Russian schools from 2005-2007 by the human rights organization ‘Memorial.’ The project involved students writing compositions on what students learned in school about the Great Terror and entering the compositions into a competition. Excerpts from some of the winning compositions were published, and those available on the Internet demonstrate students’ dismay at learning how “their ancestors were ‘made’ into ‘enemies of the people'” (http://archive.is/aoD1a). In 2007, for the 70th anniversary of the Great Terror, the state newspaper, Rossiiskaya gazeta, carried a lengthy interview discussing the first NKVD terrorist operations in brutal detail with historian Aleksandr Daniel, the son two Brezhnev-era dissidents (https://rg.ru/2007/08/15/a171116.html). In 2008, ‘Memorial’ carried out seminars for teachers across the country to counter the timid approach proposed by the Education Ministry (https://hro.org/node/2044). The contradictions between public school teaching, on the one hand, and presidential statements on the Great Terror and the state media’s anti-Stalinist film productions, on the other hand, demonstrate that a pluralist approach has emerged from the ongoing political struggle inside both the Russian state and society over the Stalinist legacy. They also demonstrate the Kremlin’s and Putin’s own pluralist approach. 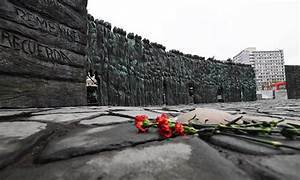 More recently, on last year’s Day of Remembrance, Putin opened the planned monument, the new ‘Wall of Grief,’ and a Gulag museum in central Moscow commemorating the victims of Stalin’s repressions. Putin noted: “The terrible past is impossible to cross out from (our) national history. No more is it possible to justify by any higher so-called good for the people.” When we talk about the repressions, about the deaths and sufferings of millions of people, then it is enough to visit Butovskii polygon and other common graves of the repressions’ victims, which are not few in Russia to understand: there cannot be any justifications for these crimes” (www.novayagazeta.ru/articles/2017/10/30/74387-vladimir-putin-otkryl-memorial-stena-skorbi-zhertvam-bolshogo-terrora-v-tsentre-moskvy). You will never here this quote cited in media or academic circles. This year’s commemorations included the October 27th opening of another Wall, the Wall of Memory, at the NKVD ‘Kommunarka’ polygon and killing ground, where 6,609 men, women and children were shot during Stalin’s Great Terror (https://echo.msk.ru/news/2304162-echo.html). As I noted in a previous article, “anti-Stalinist, anti-communist, tsarist, and projects of other ideological, cultural, religious, and ethnic orientations often coexist in Putin’s Russia, with the state giving space, albeit often strictly limited, for their expression.” Pro-Stalinist articulations are allowed within a pluralistic framework and are in part “a function of a supra-national identity still being in development, Russia’s multi-communal character, and the interplay of various orientations and of those orientations within the state.” “(A) political battle between various forces is ongoing in Russia, as in other countries, over the country’s past and present. This is not just a battle that the soft authoritarian Putin allows to rage, it is a reflection of political pluralism and free, limited albeit, speech. Just as the Putin administration lets communists rehabilitate Stalin, so too he allows both the Church as well as liberals to criticize the dictator and engage in the country’s politics within limits that protect his own rule.” “Focusing repeatedly only on the communists’ efforts to rehabilitate Stalin as the Kremlin’s policy is a gross distortion of Russia’s reality and political complexity. It also deprives Western publics of the full complexity of the Stalin issue, for Russia in particular, and rich panoply of historical interpretation and politics in post-Soviet Russia. This is a much more interesting and accurate story, but it requires more work by journalists (and scholars) and is a less effective propaganda tool for their editors and the distorted Washington consensus” (https://gordonhahn.com/2017/08/28/putin-stalin-orthodoxy-and-russian-traditionalism/).